This Armstrong Enamel Tires sign is tall. Standing at 94″ tall and 16″ wide, the sign would have been hung outside the door to a garage or shop. 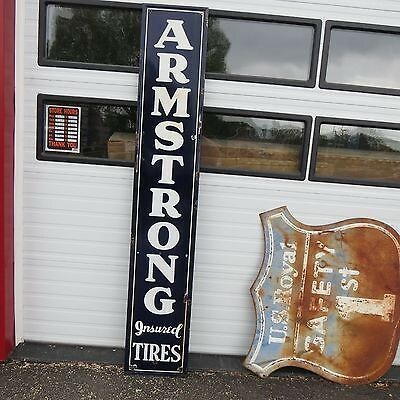 The sign is navy blue with white text that reads “Armstrong Enamel Tires.” The word “Enamel” is written in a script font.